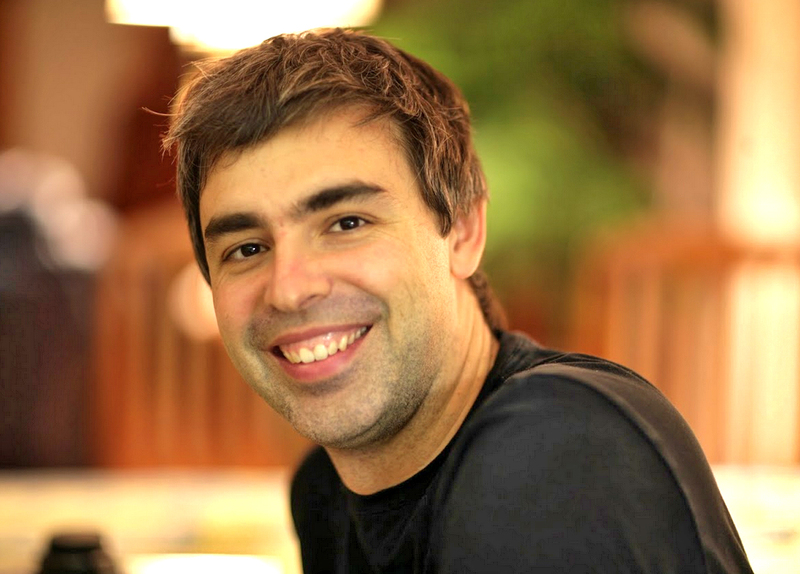 We don’t see Larry Page, the Google CEO as much as we would like. He seems like a great guy, but he is rather shy when it comes to the media. I suppose we are far too accustomed to Eric Schmidt and all of the fantastic one liners he dishes out from time-to-time on the competition. Below, we will cherry pick a few of the questions and his replies. When you’re thinking about the next bet you’re going to make, how do you pick? That’s something we’ve been thinking about a lot. Unfortunately, there’s not a perfect science to that. Partly I feel that Google is in uncharted territory in the sense that I don’t think there’s an example from history I can take and say: “Why don’t we just do that?” We’re at a pretty big scale. We’re doing a lot of different things. We want to be a different kind of company. You look at self-driving cars. You know a lot of people die, and there’s a lot of wasted labor. The better transportation you have, the more choice in jobs. And that’s social good. That’s probably an economic good. I like it when we’re picking problems like that: big things where technology can have a really big impact. If we have automated cars, or even if we have some fraction of automated cars, we’ll save hundreds of millions of dollars on parking, just at Google. When you think about your experience, the car can drop you at the front door to the building you work at and then it goes and parks itself. Whenever you need it, your phone notices that you’re walking out of the building, and your car’s there immediately by the time you get downstairs. I don’t know if this is unique at this time in this industry, but there are companies that are clearly competing with each other [Google, Apple, and Amazon], with completely different business models. I actually view that as a shame when you think about it that way. All the big technology companies are big because they did something great. I’d like to see more cooperation on the user side. The Internet was made in universities and it was designed to interoperate. And as we’ve commercialized it, we’ve added more of an island-like approach to it, which I think is a somewhat a shame for users. So in light of that, Apple’s still a partner. It’s a competitor. You and Steve Jobs were friendly. At times. You said that whole thing about Android and them being angry about it, that it was for show. I didn’t say that entirely. I said partly. [Apple did it] partly for show, to get the troops to rally. By the way, that’s something I try not to do. I don’t like to rally my company in that way because I think that if you’re looking at somebody else, you’re looking at what they do now, and that’s not how again you stay two or three steps ahead. For a long time, Google was organized on a 70-20-10 model, with 70 percent of effort going to search and ads, 20 to apps, [and 10 to completely new projects]. Does that still apply? Yeah. We still think about that. I think we’re in a bit of a unique point in the history of Google, where we have a number of things that are kind of in the 20 on the way to the 70. So where would you put Android? It’s probably in the 70 in terms of impact — the monetization is at an early stage. What [else is] in the 20? It’s question of how you really measure it. I don’t think about exactly what we put in the 20, so I can’t come up with an example offhand. There are some great products out of Motorola, but none of them are your signature Nexus line. Will you partner with Motorola for these sort of signature devices? How will you decide when to partner with them? And despite all your assurances to the other [Android] partners that you’re going to be neutral, aren’t they going to freak out [when you build a Motorola Nexus]? First of all, I don’t think there’s any physical way we could have released a Nexus Motorola device in that sense. I mean, we haven’t owned the company long enough. How will you decide when to do a Motorola Nexus device, and what do you tell Samsung and LG? I think there’s a lot of complexity in that question. Maybe I’ll talk more generally about that area. The right way to think about it is how do we get amazing products into users’ hands in the most cost-effective, highest quality way possible and to the most people. That’s what we do as a business, and that’s what we’ve done with Android. Part of the reason why we’ve done Nexus devices in the past is that we want to build an amazing device that kind of showcases what’s possible on Android, gives a way for the programmers to get early builds, does a whole bunch of things that are important. Exactly what we do, which devices we do, what the timing is, how we release the software with them, all those things have been changing. Every day we kind of evaluate how do we help our partners out the right way, how do we produce amazing innovative devices, and how do we get those out, and how do we get that innovation into the ecosystem and into the hands of as many people as possible, and how do we keep our partners happy. I think we’ve done a pretty good job of that so far. If you like what you read, you should go check out the full interview by following the via.